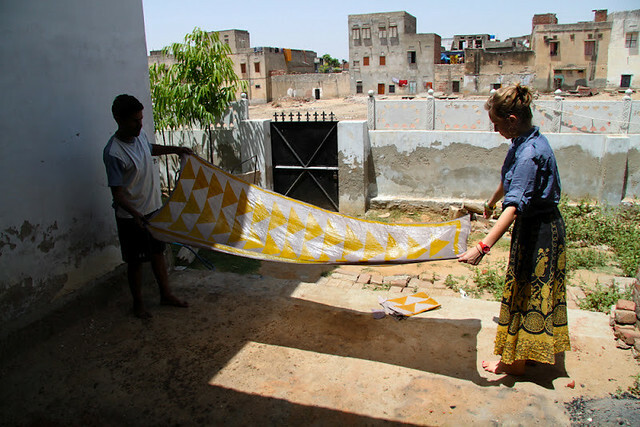 Seriously smitten with these vivid patterns and images of Lily and her block printing adventures. Take me there, Lily? 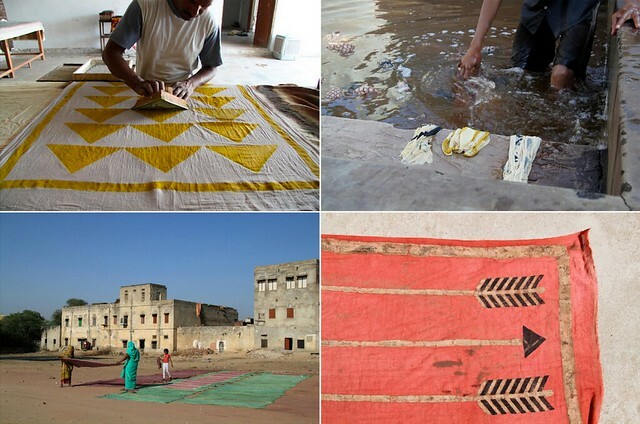 I want to meet these artisans and immerse myself in their craft and culture! See and read more here. All images by Lily Stockman. simply amazing. i want them all. Oh. I really love the coral piece with black/tan arrows on it! Oh my GOD. Those are gorgeous beyond reason. I love the arrows-inspired print. They're all so amazing. wow, what beautiful prints. I love that they are hand made, makes them extra special. oh wow! Amazing. Gorgeous prints! I LOVE the one she is wearing! Beautiful. I LOVE the pink arrows. I want to get off the computer right now and go make something. Beautiful! 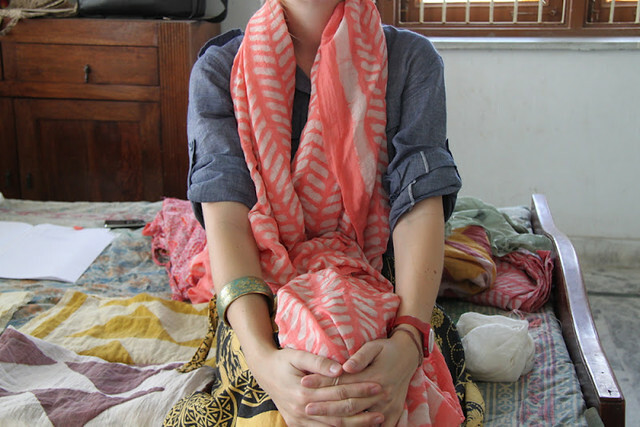 I [still] love reading your blog and soaking up the loveliness!! So inspiring - thank you! This is so amazing. What an intricate process.